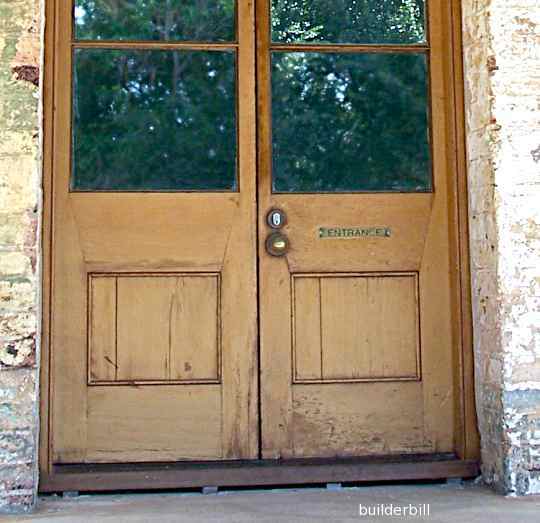 Above is a typical timber door that has wood panels below the Lock Rail or middle rail and glazed panels above it. Below is a sketch of the mortise and tenon joint that does the connection at the mid rail and style. 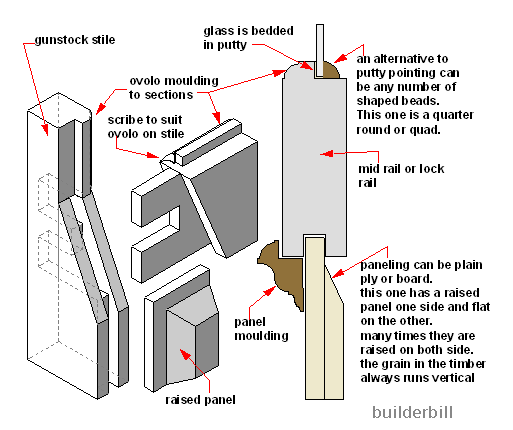 In this particular case the style reduces in width to give more light from the glass panels, hence the name "gunstock".